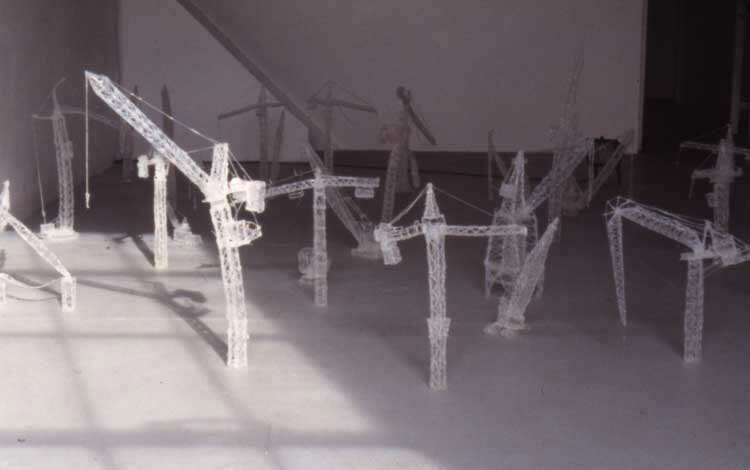 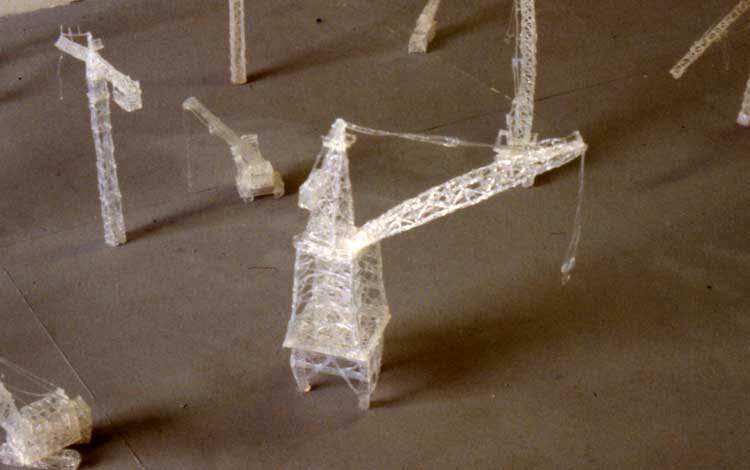 I made a series of construction cranes in glue while living in London, constantly surrounded by building sites.- having watched their movements as they weave, arch, put down, pick up, tirelessly drawing in space. I enjoy their dualities: they destroy and construct; they are static and always moving; they are airy and also heavily grounded. Made out of glue using a glue gun, the sculptures are inherently flimsy, weak and vulnerable, in opposition to their real life counterparts which are strong, reliable and part of a male dominated environment. 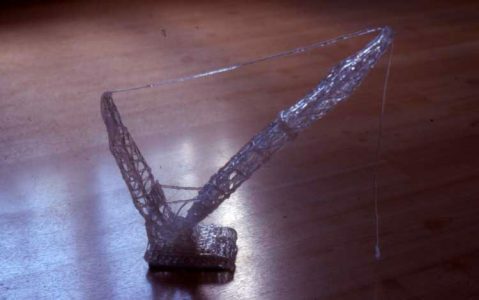 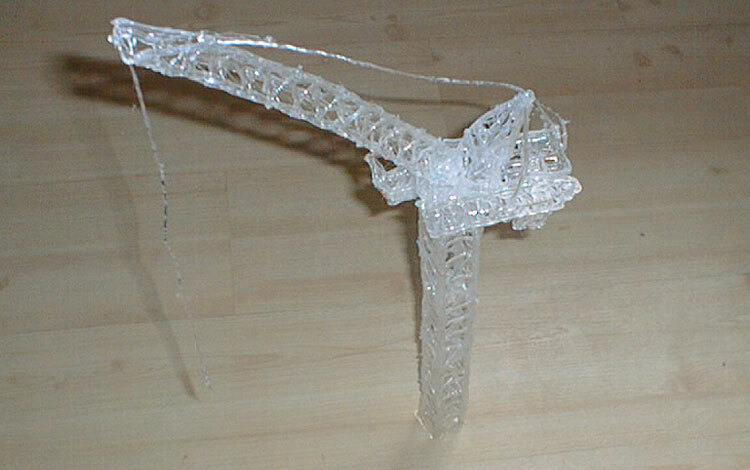 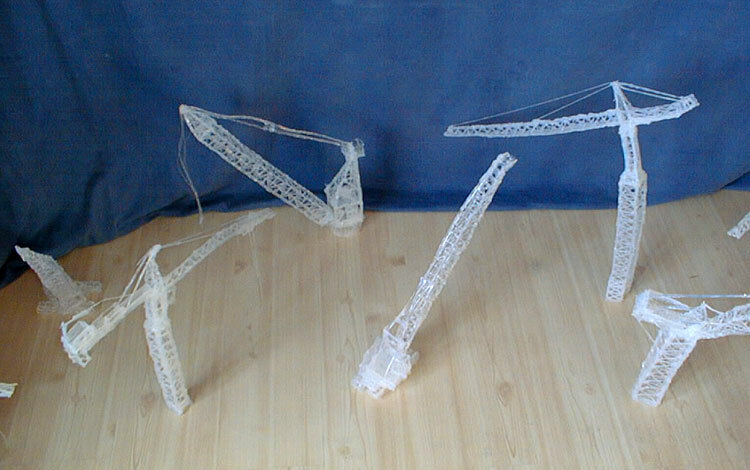 My cranes are lacy, mostly delicate, fragile structures that have an eery translucent quality. Totally dysfunctional, they bend , bob and droop struggling to carry their own weight let alone anything else.My cranes have been emasculated.